More immersion for avid simmers! 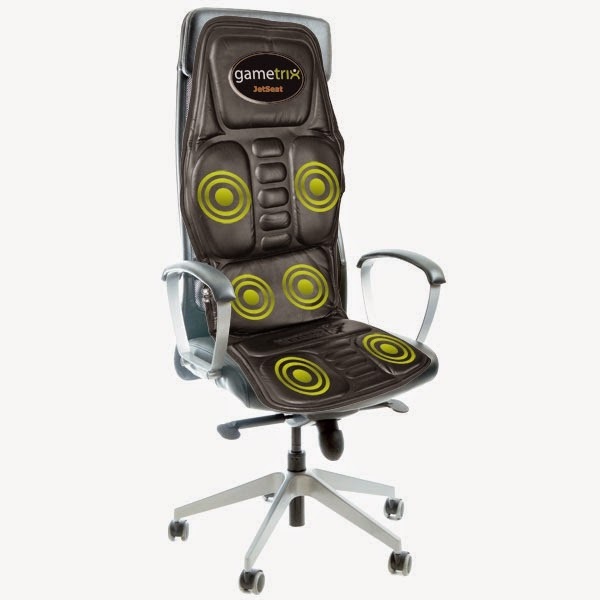 SimShaker software receives row data from a simulator game, processes the data with inner logic and applies vibrations to user's body at appropriate time and place via JetSeat vibrating cushion at user's chair. Green circles highlight vibe-motors locations. It really adds a lot of immersion to a game. Please read also what people are saying about SimShaker and JetSeat. 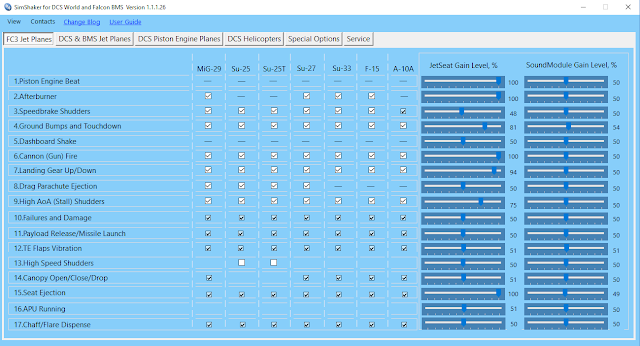 Gametrix JetSeat Control Panel software installed (visit our Downloads page). SimShaker uses Microsoft Click Once deployment and auto update technology. There is also portable version of SimShaker for iRacing module. You can find links to all necessary files at our Downloads page. Note: During installation process some antiviral software (Symantec Endpoint Protection, Dr.Web, etc.) may block files download. In such case we would recommend temporarily switch off protection. For your convenience SimShaker has auto start feature. When you start one of the simulator games, Simshaker starts automatically its appropriate module. When you close the simulator game, Simshaker also closes its module. 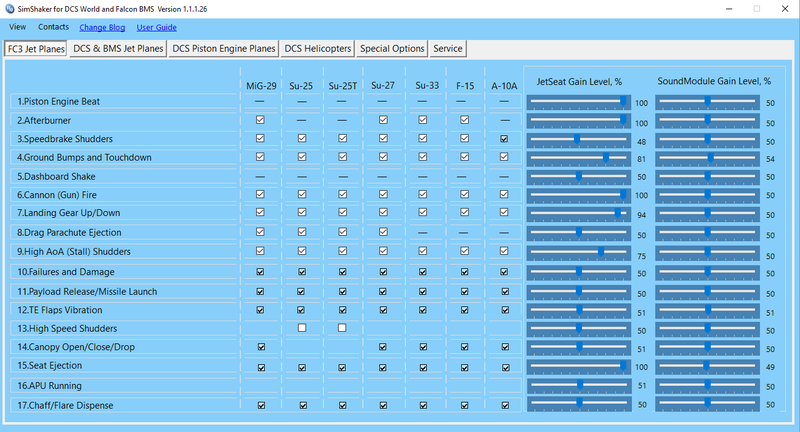 SimShaker can work with air combat simulators DCS World and Falcon BMS. This module comprises vibe- and sound-effects for planes and helicopters as well as a massage program. Note: DCS World and Falcon BMS module is constantly developing, so screenshot, given below, has tendency to become outdated rapidly. To get full information about current set of features, you can install SimShaker free of charge and see it's GUI in details. SimShaker for DCS World and Falcon BMS module. Click to enlarge. Transducers owners please see also Sound Module user guide. 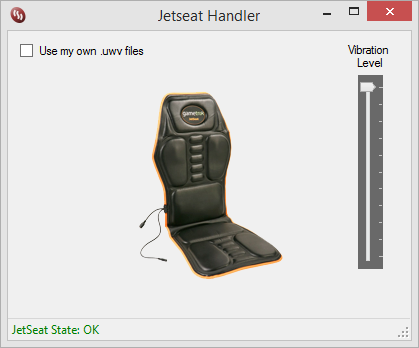 Jetseat Handler utility is used to provide connectivity with vibe cushion hardware. It also allows user to set up general vibration amplitude. Jetseat Handler silently starts and finishes along with one of SimShaker modules. 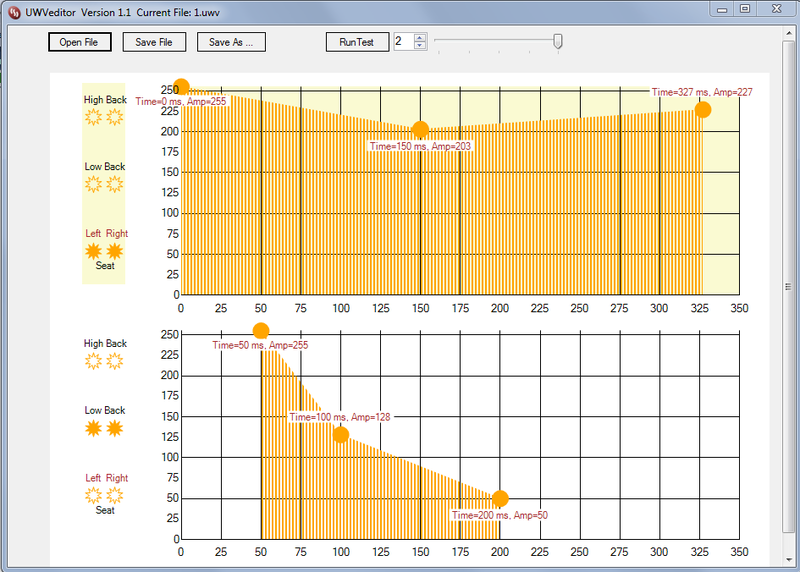 Vibration effects files ( including massage program) can be easily edited via UWVeditor utility. You can start UWVeditor via SimShaker context menu by right clicking SimShaker icon at system tray. Example of using UWVeditor: Ka-50 BlackShark Gun Fire effect.